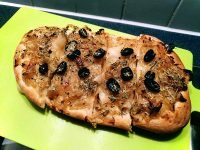 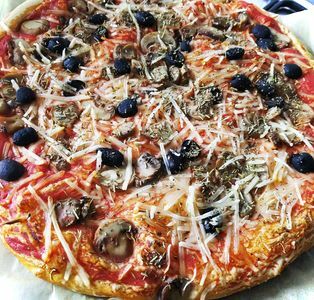 I used to make pizza for the weekend lunch as it is convenient to make and it is a way to eat comfort food with the value added to be homemade. 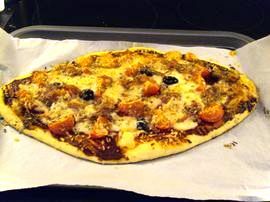 I used to make a mozzarella, goat cheese and cheddar pizza, heavy on cheese… but that was before I discovered that I am dairy intolerant, that came as a shock… After a couple of days of what can I eat, I decided to take it as a new challenge and after a few tests, the perfect pizza was born, as delicious as previously but less fat and more digestible. 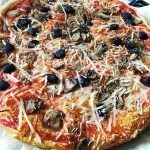 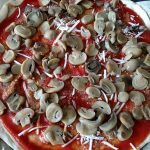 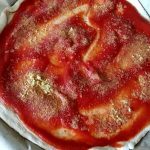 How to make a Vegan pizza with mushrooms?